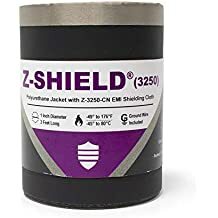 Snap Grip Colors - Lightweight Jacketing - Wire And Cable Bundling - Products - ZT | Zippertubing Co.
Snap-Grip® (Colors) are comprised of a commercial-grade, flame-retardant, PVC-coated Polyester-fabric material that easily opens and closes with a Nylon snap button. Not only are these products excellent to bundle any type of wire or cable, you can cut any Snap-Grip® product to your own desired length, which makes any installation clean and painless. The design of the Nylon snap buttons are tough and long lasting, whether they will sit and never to be moved again, or installed on a high-flexing application. Simply pull the buttons apart when you need to access your installation, and push the snaps back together when you are finished. Snap-Grip® also has the ability to incorporate multiple wire or cable breakouts without the need for cutting and damaging the look of your Snap-Grip® product or installation. Your wire and cable management opportunities are endless with Snap-Grip®. 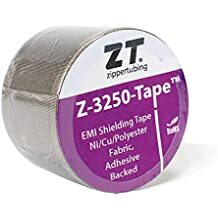 Use this product on any type of general cable bundling application such as your office, shop floor, server room, or anywhere that you need to organize a group of wires or cables, but easily have access to them when needed. Snap-Grip® (Colors) are available in five different colors including Black, Blue, Green, Orange, and Yellow. Each Snap-Grip® (Colors) product comes standard in a 164-foot roll and needs NO special tools for installation.